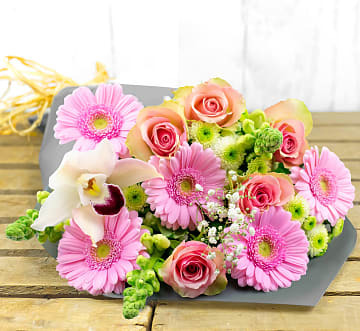 Fresh flowers are known to boost the recipient's mood and state of mind. When you are unwell, this kind of emotional pick-me-up can often be just what the body needs to fight extra hard to get better. There is something about the colours and the scent that seems to soothe the sense and give you a sense of hope. 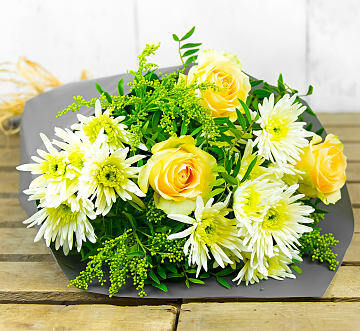 So, no matter how ill the person might be, they will certainly benefit from a fresh flower delivery. 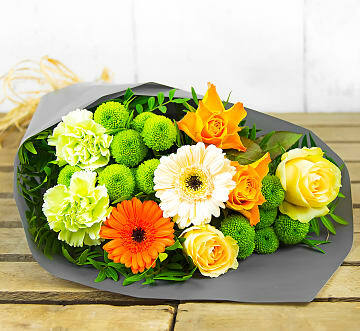 Bright colours help brighten the room and your mood. 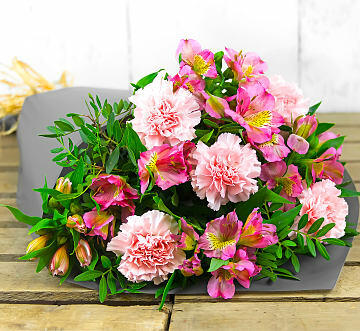 This is why our team has chosen a number of bright flower arrangements as well as those that consist of flowers in warm colours. 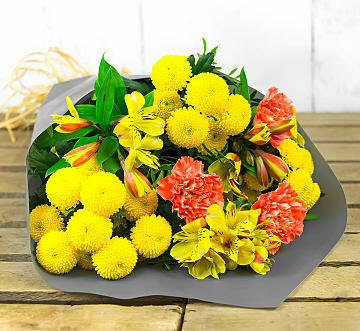 Warm colours help warm the room and yellow is a particularly joyful colour. 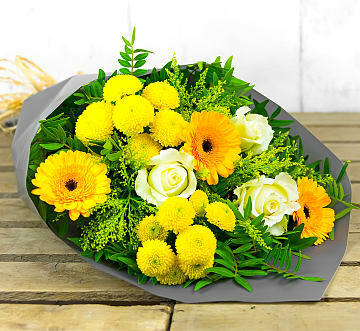 If you are sending flowers to somebody in the hospital, we recommend that you contact the hospital and find out whether the recipient is indeed able to receive flowers. 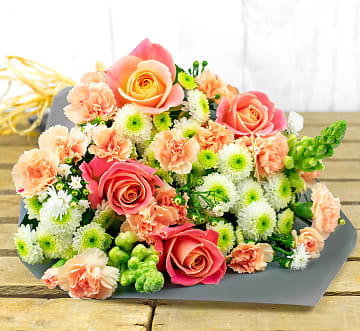 Some wards have restrictions for health and hygiene reasons and, if flowers are not allowed, the recipient will not be able to enjoy them. In this case, it is best to wait until they are either moved to another ward later during their recovery, or until they return home. 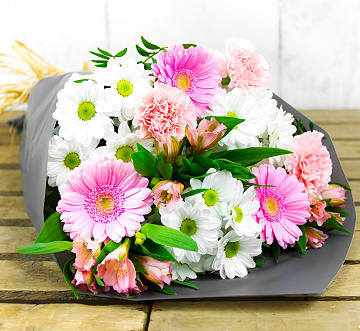 If they are able to receive flowers, make sure that you ask the hospital for their full address and the ward details of the recipient. 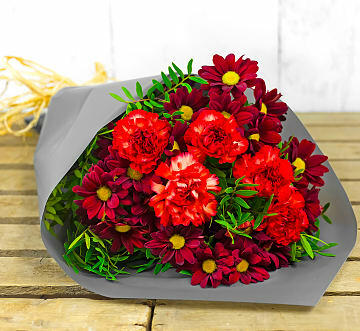 Alternatively, you can have the flowers sent to you, and you can make the delivery in person during visiting hours. 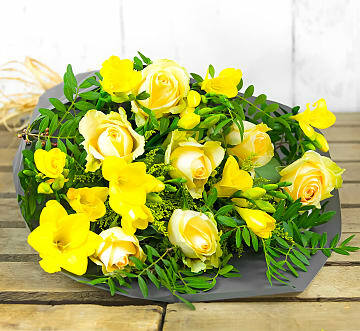 When sending flowers to the recipient's home, you should find out whether they are able to get up out of bed to receive the flower delivery. 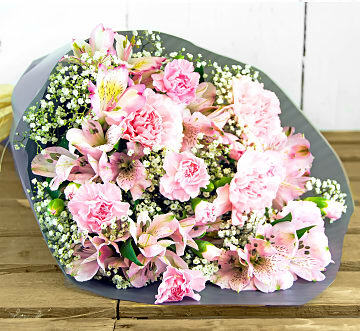 If not, you might want to receive the bouquet yourself and pay them a brief visit when somebody will be home to assist and let you in. Depending on the current condition of the intended recipient, you might also like to select from our optional extras. These include luxury chocolates, balloons, and even teddy bears. Keep their condition, possible medication, and dietary needs in mind when selecting from our extra gifts. 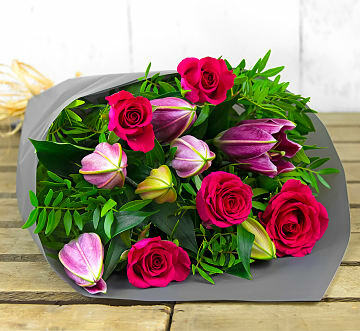 We also offer various sizes which means that you can opt for the standard bouquet or one of the larger sizes if you want to add extra stems to the bouquet. Each size increase is available for a reasonable additional charge. 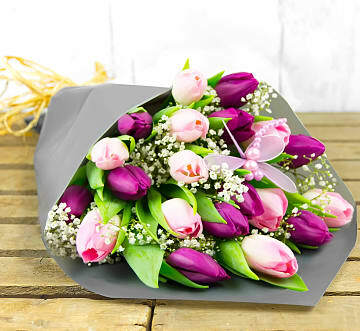 Remember that kind and comforting words can also give the recipient a fantastic boost. 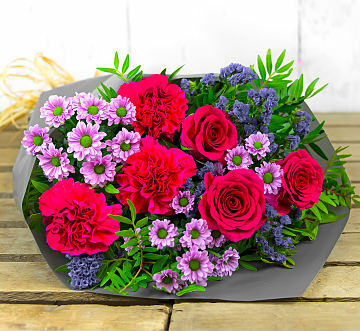 So when you send Get Well Flowers, make sure that you take advantage of the card included. 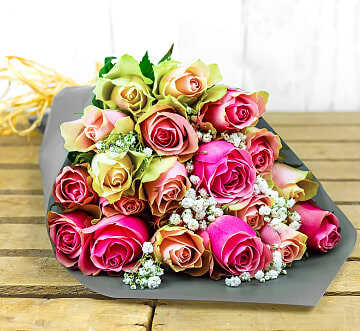 When you place your flower order online, you will notice that we have a section specially set aside for you to type your message. 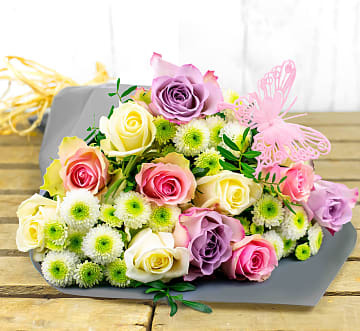 Take some time to think about the best way to convey your support and well wishes, and we will take care of the rest! © 123 Flowers 2019. All Rights Reserved.